When You Try these Massage Balls, You'll Say they, Hurts So Good! Pain Relief: Hurts So Good!® Massage Balls allow you to quickly relieve tension in your back, shoulders, legs, and glutes. Myofacial Release: from sitting too long, lack of exercise, or overuse, many people suffer from sliding surface disorders where you feel "stuck" or "locked up" in specific areas such as your hips or shoulders. Hurts So Good!® Premium Pack has been added successfully to your wishlist. When You Try these Massage Balls, You'll Say they, Hurts So Good! 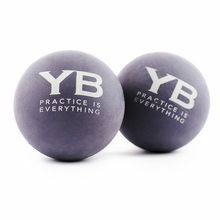 Pain Relief: Hurts So Good!® Massage Balls allow you to quickly relieve tension in your back, shoulders, legs, and glutes. Myofacial Release: from sitting too long, lack of exercise, or overuse, many people suffer from sliding surface disorders where you feel "stuck" or "locked up" in specific areas such as your hips or shoulders. Hurts So Good!® Massage Balls help you release that dysfunction quickly and safety at home. Deep Tissue Massage & Recovery: if you're a fan of deep tissue massage, particularly of your back, glutes, and legs, Hurts So Good!® Massage Balls apply human-like pressure and deliver amazing results. Many students report it's the strongest massage they've ever had. Forget About Tennis or Lacrosse Balls: Hurts So Good!® Balls are made of natural rubber with just the right amount of give so you can work softly on the boney areas and firmly into your soft tissues.